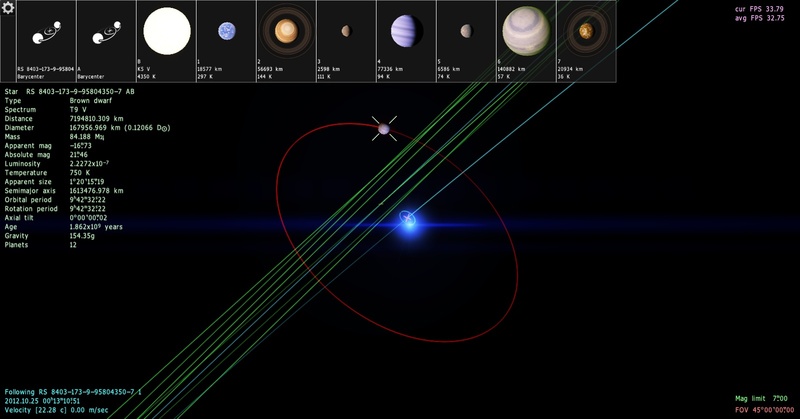 Someone recently posted longest orbit so i though it would be fun to ask what is the shortest orbit you have found wich also is the hottest planet and closes orbit so post and lets see the shortest closest orbit and the hottest planets. The problem with this challenge is there is a definite limit to how fast a planet in Spaceengine can orbit around a star. 2.531 days. 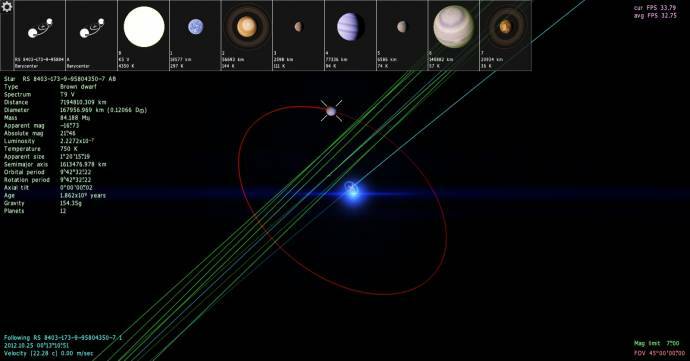 Yes, that is a real planet that orbits in 5 hours and 45 minutes around a blue subdwarf that fuses helium. It probably also wins the hottest planet award at 4792 K. During the star's red giant stage, it probably plunged deep into its sun, yet it survived. Nature makes some weird things. Or maybe it was born from the gas of the red giant? There's no way that this could happen. The gas would have been too diffuse, and the stellar winds would have kept forcing it outward, becoming even less dense. And the rate at which the mass would have been blown into space probably would have been too slow. It could be a gas giant that plunged into its host star and managed to survive somehow. Look at its size and mass, that object is dense, it's probably not completely iron (do we even know whether gas giants have an iron core? And I mean the core of the rocky 'seed' body), but a good deal of it is iron or otherwise something dense. The pulsar planets are also theorized to be the cores of gas giants. 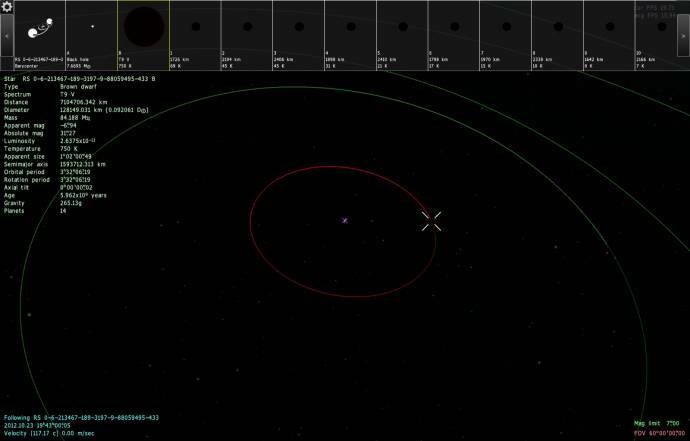 Not necessarily a lower limit for orbits for SE. I have found a very compact system around a Black Hole. The Brown dwarf orbits in three and a half hours and the innermost planet orbits in 18 Hours. Yeah, you're probably right there. 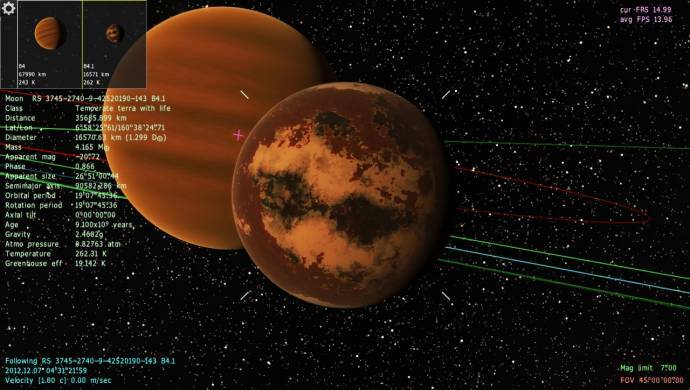 It's unlikely to have always been terrestrial in size, as nothing would remain of it after a few million years inside its sun, undense though red giants may be. A gas giant, on the other hand, would be massive enough to slow down its own decay significantly, and have much more mass to slowly lose. It makes me wonder what that planet looks like in reality (aside from the obvious blindingly bright glare; in full phase it reaches magnitude -26.5 at an angular diameter of 1 degree, indicating it's only 4 times dimmer than our Sun :o). anonymousgamer, Yes they count everything that orbit something count being planet,star,moon or anything else. 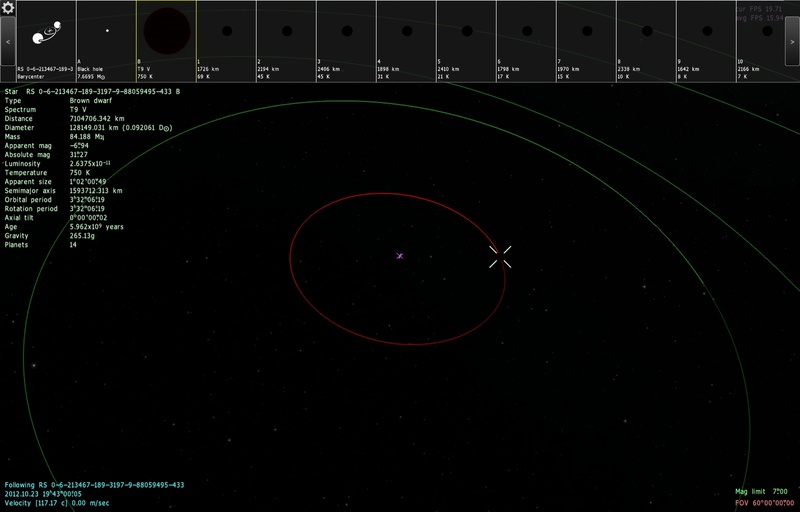 I have what just might be the shortest orbit a moon takes around a gas giant. The shortest I usually see is a bit over a day to about 1.5 days. Isn't that moon locked, so then there can't be any tidal forces? I found a similar moon, a terra with life around a gas giant, with an orbit of 1.031 days. The view of the giant from the moon is quite something, filling a huge part of the sky. It's even in a triple system, and since the planet shine is tremendous, the moon is mostly lit all the time. Tidal forces do not depend on rotation, they depend on orbit and the physical properties of the bodies involved. EDIT: Whoa man, how many monitors do you have, and what GPU can run the program that well on them? Tides need a lot of energy and at some stage that energy gets depleted and we have a tidal lock. The gravity is still there, but the tide is gone. Or rather, the tide doesn't move and cause friction. I don't see how the moon could cause changing tides on earth if one day was one month and the moon was in the same spot in the sky at all times. 3x24". I bought the third one having discovered Space Engine a month ago. 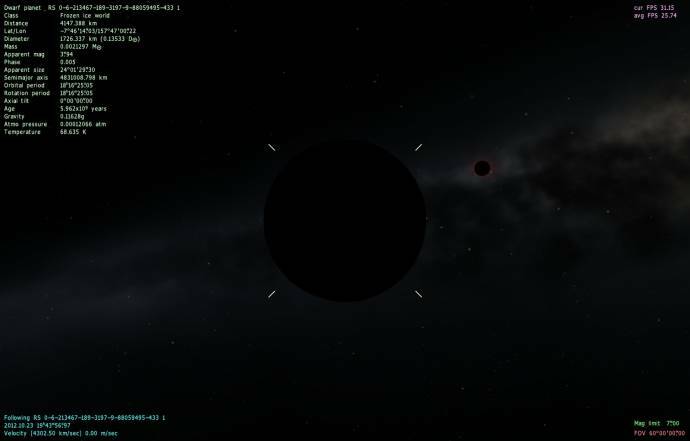 They now cost less than $200 (that's roughly the same as a one hour taxi ride here in Norway), and it's totally worth it for Space Engine. I have a GeForce GTX 670 with an Intel i7-3770K CPU @ 3.50GHz. 16 GB RAM @1600Hz and 256 GB SSD. I'm looking forward to the multithreading support. 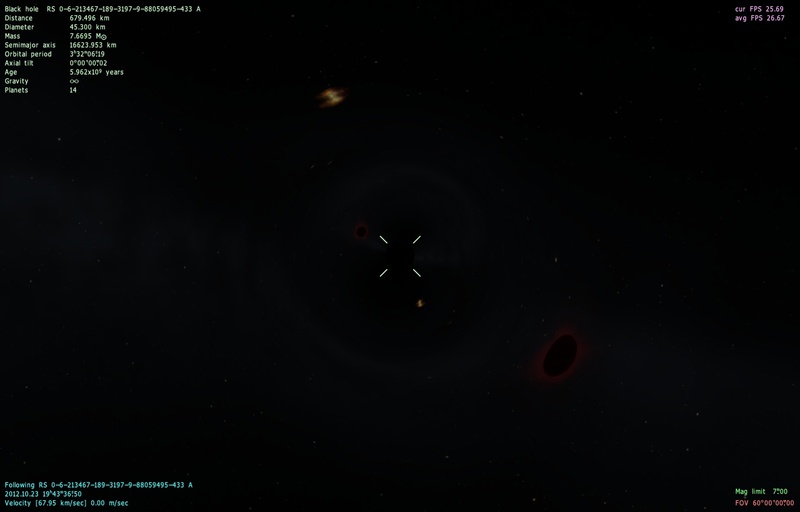 I'm running Space Engine in Ubuntu 12.10 (x86_64). No stability issues with this setup. EDIT: Here's a pic of my desk. Space Engine really looks better this way. 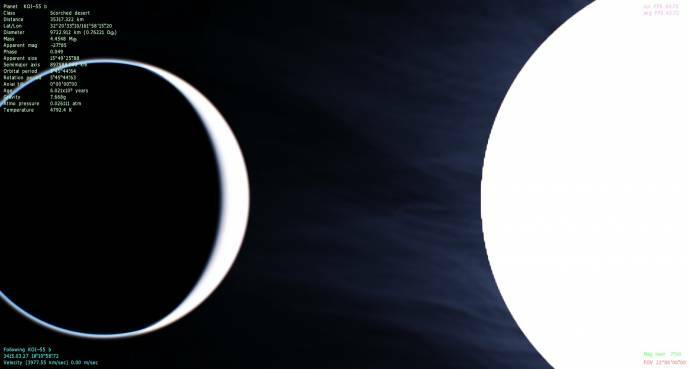 I don't see how the moon could cause changing tides on earth if one day was one month and the moon was in the same spot in the sky at all times. 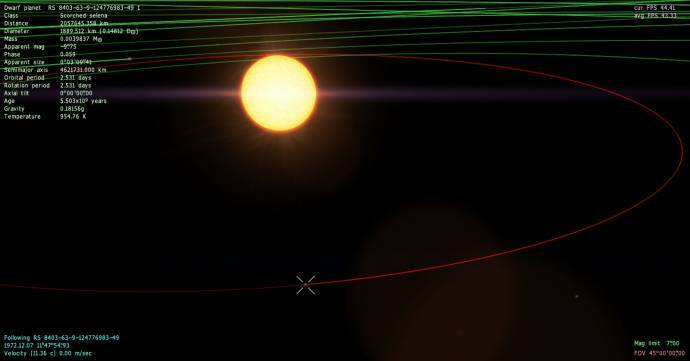 Orbital eccentricity. And there's a difference between "changing tides" and "tidal forces". You can have tidal forces without dynamic tides. And you can have dynamic tides even if tidally locked.